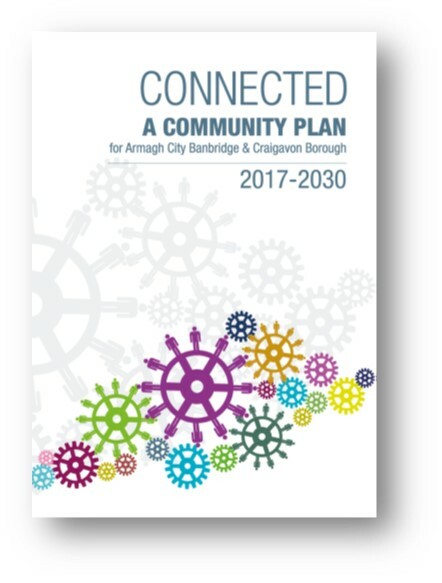 Connected: A Community Plan for Armagh City, Banbridge and Craigavon Borough sets out the long term vision and future aspirations for the people who live, work, visit and learn in the borough. As a community planning partnership we have taken an ambitious and holistic approach to the nine long-term outcomes we want to achieve by 2030. This short questionnaire is being carried out by community planning partnership in the Armagh City, Banbridge and Craigavon Borough, to inform action plans for the community theme in the community plan. 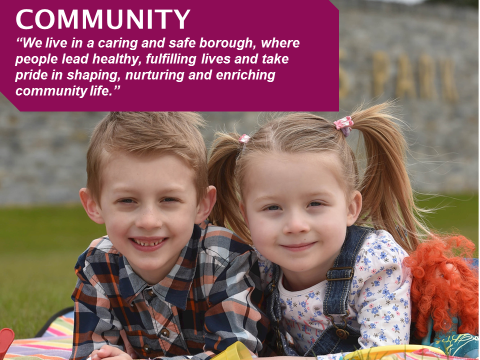 Confident Community: Everyone has opportunities to engage in community life and shape decisions - we have a strong sense of community belonging and take pride in our area. Healthy Community: People are making positive lifestyle choices. They are more resilient and better equipped to cope with life’s challenges. Welcoming Community: Our borough is a safe, respectful and peaceful environment. The planning process will involve designing 2-year action plans that will focus on projects and activities where we can achieve more by working together to improve outcomes for local people. Your views are valuable to us and will give us, as a partnership a deeper understanding of what the local strengths and challenges are and to broaden our knowledge beyond the statistics. We need your feedback to help us recognise what groups/areas are most affected and what actions and projects we need to undertake.